TechInAfrica – Cybervision, an IT security value-added distribution company is launching a software called F-Secure RADAR to helps organizations to identify and remediate IT security risks in many platforms and web applications. In other words, it is a solution to vulnerability management that can be used by enterprises. As cybersecurity is important for companies, they always seek out a new technology innovation to protect their company from cybersecurity threats. By far, web applications are the most vulnerable part of a network with estimated attacks at 75% on the application layer. The threats came from mostly a misconfiguration system, defective software, and weak passwords. Therefore, F-Secure RADAR comes in to identify those security risks and dismiss them through regular scanning and full control. F-Secure RADAR has the advanced platform as well as web scanning engines to discover and deal with various vulnerabilities within the system and network. The scanning engines are paired with web-based IT security risk management and reporting platform. Moreover, they have also capabilities to integrate with the 3rd party called F-Secure RADARAPI. 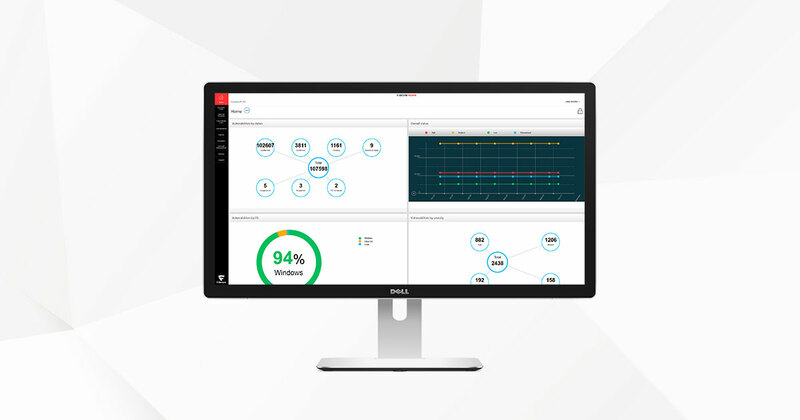 Full specifications of F-Secure RADAR include IT risks management and ticketing; centralized risk/vulnerability reporting; customizable reports with various formats; 3rd party integration capabilities through API interface; capacity to manually add identified risks or vulnerabilities; and make scan schedules and notifications once risks are detected. F-Secure RADAR is able to detect threats instantly, thus, strengthen the security of the system. The centralized vulnerability reporting helps to make in-depth analysis and improve the whole security management. F-Secure RADAR is able to map all the security system assets, monitor the security status, and provides customized reporting system. In a conclusion, F-Secure RADAR is a software that offers IT risk solutions with sophisticated technology and vulnerability management. In other words, it provides ‘best practices tailored for an organization’s specific requirements’ through F-Secure’s analysts to protect organizations’ webs and applications from threats for 24/7 non-stop.